Get your FREE comprehensive checklist! Choosing a reading program is one of the most important decisions you’ll make in regard to your child’s education. 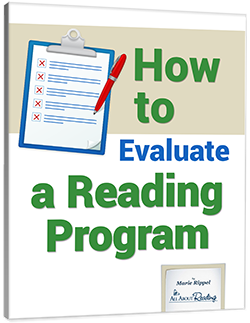 But when you begin to compare the content of specific reading programs, the thought of making a decision might seem daunting. Does Program A emphasize phonological awareness? Does Program B teach decoding skills? How can I be sure I’m making the best choice? Never fear! 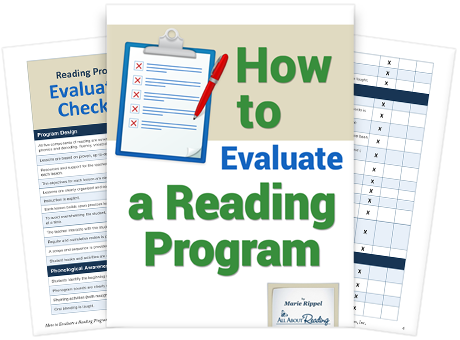 This free checklist, How to Evaluate a Reading Program, enables you to carefully compare reading programs to determine which one best suits your child's needs. As you read through this checklist, feel free to jot down any questions you may have. You can email us at support@allaboutlearningpress.com, or call us at 715-477-1976. No question is too big or too small—we’re here to help!